Battlebots is an American TV series, where remote-controlled robots fight one another in a UFC arena-style elimination tournament. There are weapons, armour, hazards, and destruction. The winners drive off glorious, the losers have to be carried out. 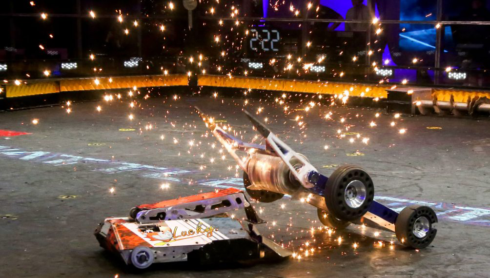 The 2019 Battlebots season is being filmed April 12-22 and will be airing on Discovery Channel later this spring. Video: The design and development of combat robot Lucky. 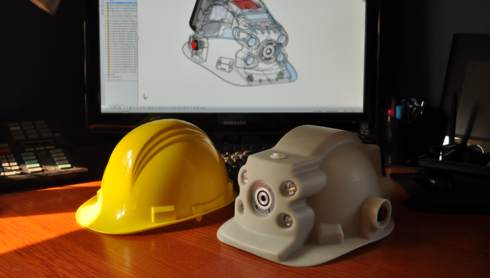 Lucky was the brainchild of a group of robot enthusiasts which included Design 1st VP Engineering, Matthew Bailey. Matt worked alongside a team of software, electrical, and mechanical experts spread across North America to bring the robot from idea to the San Jose combat arena in under 6 weeks. We sat down with the Lucky development team to talk about their experience prior to the show.